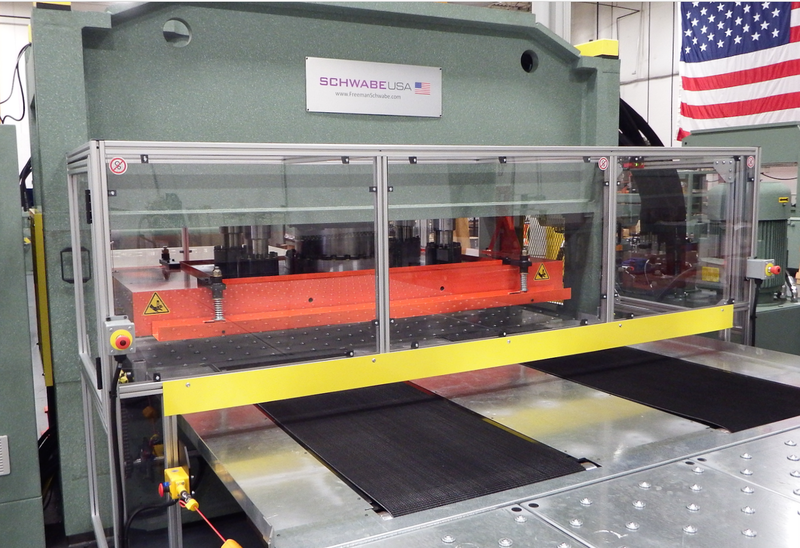 The NEW SCHWABE SR 350 Straight Ram Hydraulic Beam Press manufactured in Cincinnati, Ohio will be delivered to the Howe Leather cutting facility in Europe meeting CE requirements. Howe Leather is a premium supplier of quality automotive leather, “with partnerships with the most respected automotive brands in the world”. 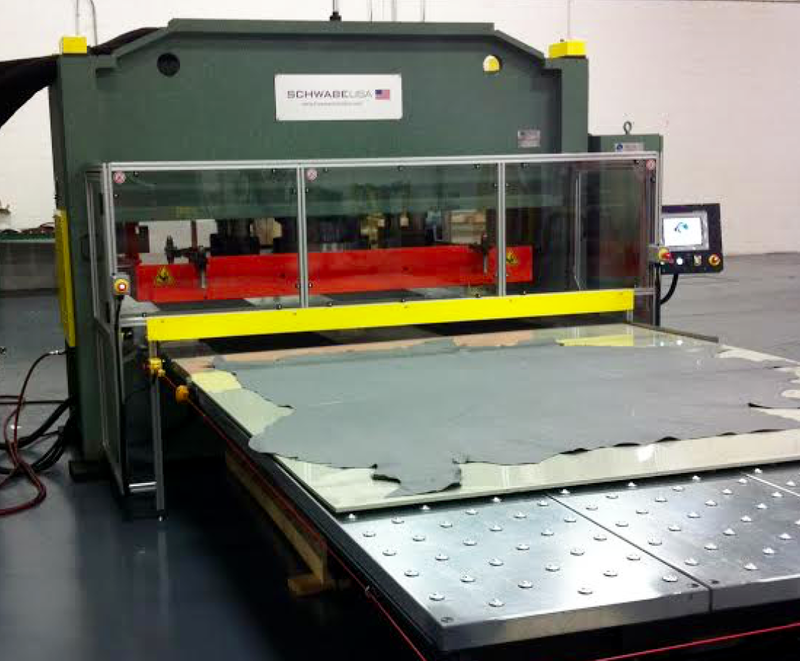 Cutting Full Leather Hide with SCHWABE SR 350 cutting press, located at SCHWABE USA manufacturing plant Cincinnati, Ohio, USA (Leather Hide positioned for display purposes only). 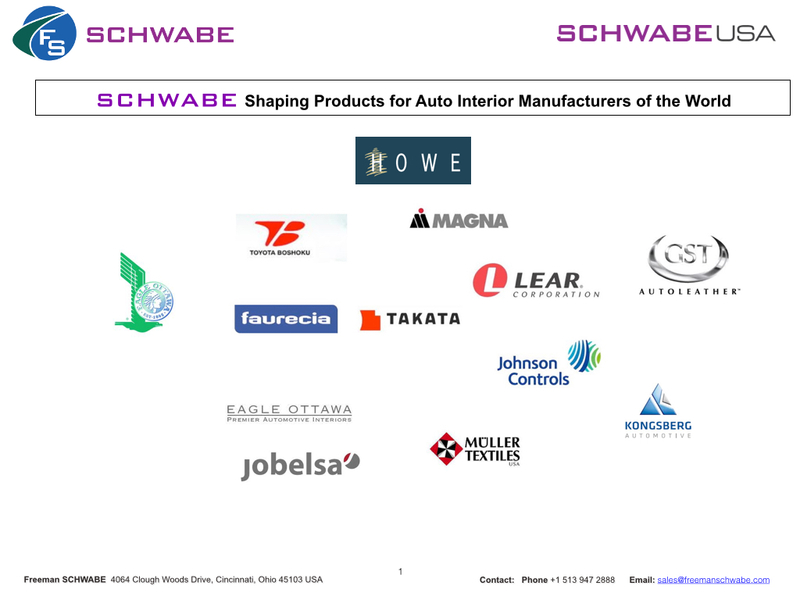 SCHWABE USA Cutting Presses are made stronger and last longer, and therefore is the manufacturing and financial choice of leading leather part producers to the global automotive industry. 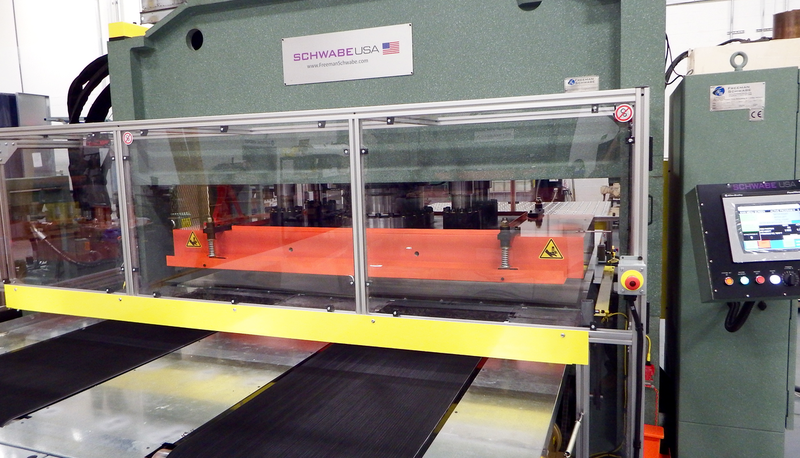 There are over 750 SCHWABE SR presses in production around the world. 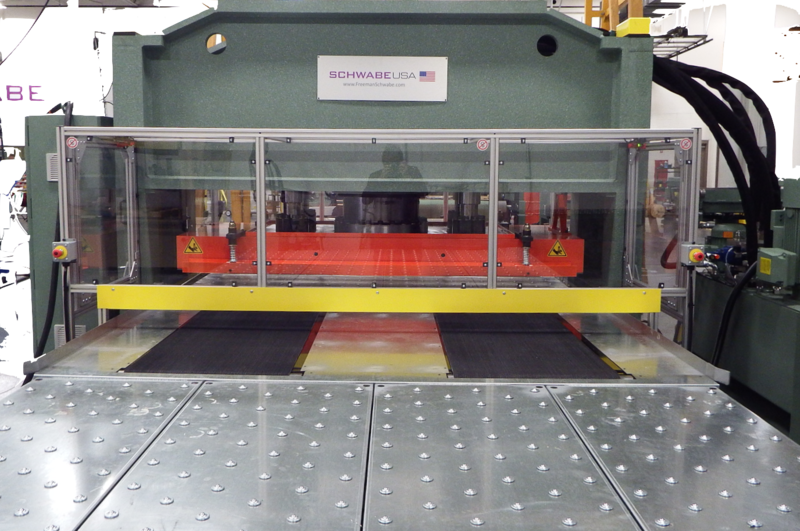 Central Guide Straight Ram Electro Hydraulic Beam Press with quad (4) cylinder hydraulic system. The cylinders also act as the actuating mechanism of the press, pushing down from a top structure vs. pulling down from a bottom structure. The cylinders are mounted inboard on the press in order to create a matching deflection between the head and the bed, rather than having them gap the way conventional four post units tend to do. The heavy duty, rigid, large diameter center guide is used to keep the head and bed parallel vs. a hydraulic balancing system or some type of linkage mechanism. 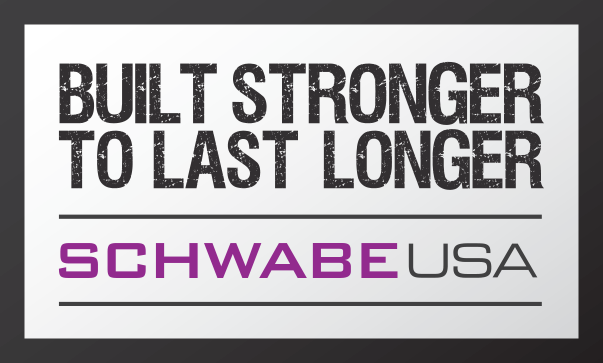 Simplicity of the Standard Design : Only 5 basic moving parts in the SCHWABE SR Design – An Exclusive Benefit of the SCHWABE SR Series – No Linkage Involvement – results in less scheduled maintenance & low spare parts inventory. Panel & Box – Enclosure with Allen Bradley PLC controls with touch screen operator interface and all internal wiring included. Includes computerized diagnostics and web camera for remote trouble-shooting. This entry was posted in Leather Hide Cutting and tagged cutting, Howe Leather, leather hide, Schwa Cutting press, Schwabe SR. Bookmark the permalink.